The fastest land animal on Earth can&apos;t seem to escape man&apos;s grasp. A recent study suggests that cheetahs have disappeared from more than 90% of their original territory. Now, the remaining big cats need our help to survive. According to the most recent study, scientist estimate there are only about 3,500 adult cheetahs left in southern Africa. The majority of these big cats live on unprotected lands where they risk becoming targets of farmers who view them as a threat to their livelihoods. That&apos;s why scientists are calling on the International Union for Conservation of Nature (IUCN) — the world body charged with protecting our endangered species — to up-list the cheetah from vulnerable to endangered on the Red List of Threatened Species. They argue it is the only way the cat will have a fighting chance at survival as it will focus more attention on its plight and lead to more funding for conservation efforts. International Cheetah Day was December 4th. It was a day for all of us, big and small, to take a moment to appreciate this great animal and commit to doing what we can to make sure they continue to thrive. 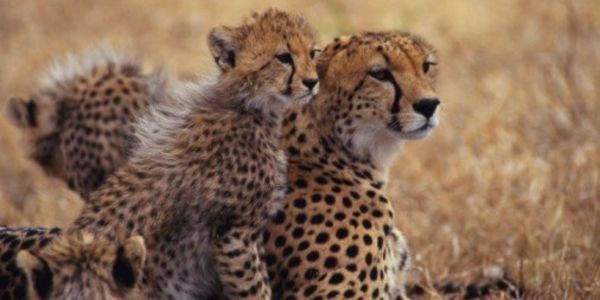 If you didn&apos;t have a chance to participate in one of the International Cheetah Day event&apos;s, don&apos;t worry, you can still make a difference by adding your name to this petition and tell the IUCN to heed the scientists' advice and up-list the cheetah&apos;s threatened status. Together, we can make sure that this great cat is here for many years to come.